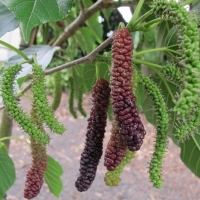 Daleys Fruit Tree has Plants for Sale to Possum Creek and can Mail Order them to you door. Click to Find out how much Freight Will Cost. 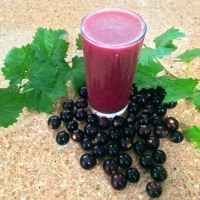 Most popular red muscadine grape for wine or juice production. It is self-fertile. Yields and disease resistance are high, and berry ripening is fairly uniform. 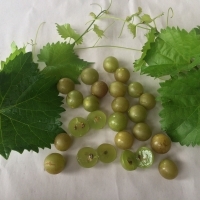 Flavour is less musky than most muscadine grapes. Excellent fresh eating or good for wine making. Exclusive to Daleys this is a recently released Florida variety. Large ripe fruits (20-25mm) are golden bronze in colour, sweet and juicy with a delicious and distinctive fruity flavour. Highly disease resistant and should not require spraying making them ideal for coastal climates and the subtropics. This variety is owned by FAVGRO. 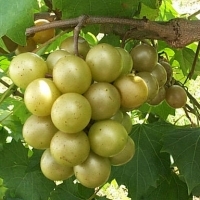 The purchaser agrees that propagation of the vines for sale, without authorisation from the breeder is prohibited.